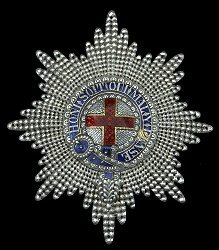 Awarded: For services to the Crown or nation. 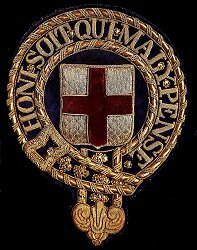 Grades: 1 (Knight or Lady Companion). 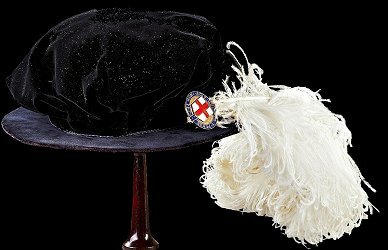 The Collar, Mantle and Hat are worn at the Installation Ceremony, when the Knights process to the Chapel of the Order, St George's Chapel in Windsor. 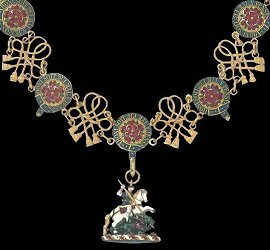 On most occasions when medals are worn, the Star and Sash Badge (called the 'Lesser George' as the badge on the Collar is called the 'George') are worn. 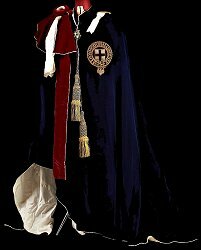 The sash is worn over the left shoulder. 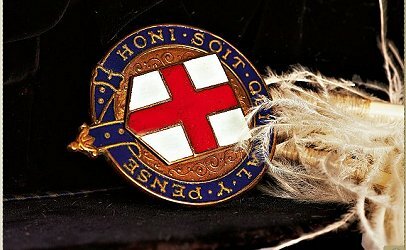 When ribbons only are worn, the ribbon of the Order of the Garter is not worn.